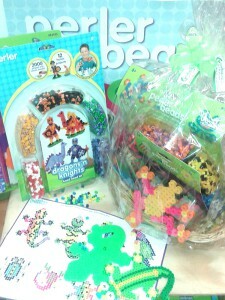 It’s competition time with Greenbusters Toyshop and Perler Beads. Perler Bead Prize: small pack ironing paper, assorted individual peg boards, 2000 glow in the dark beads blister pack,and Perler Beads Swamp Thangs Large KIt. There are 3 ways to enter!!! 1- In store by purchasing any Perler Beads product. 3- Or enter online on our website www.greenbusters.co.za by answering a question on Perler Beads by commenting on this post. What are Perler beads made from?